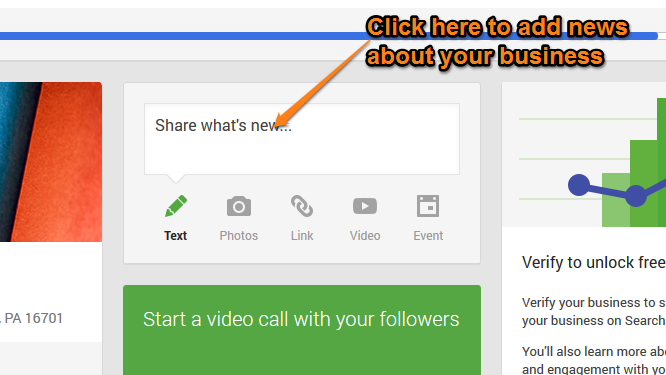 Google Plus Local pages can be a confusing topic when you first find out that there are Google+ brand pages and they aren't the same thing. Don't worry, you aren't alone. 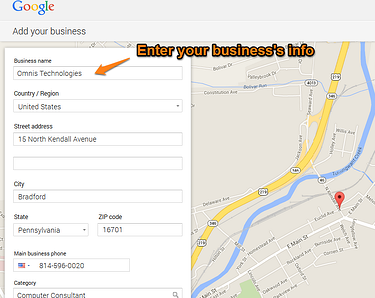 For this example we'll walk you through creating a Google+ Local page for a local IT services company that serves Bradford, PA and Olean, NY. Omnis Technologies already had Google+ page...but it was a brand page, not a local business page. 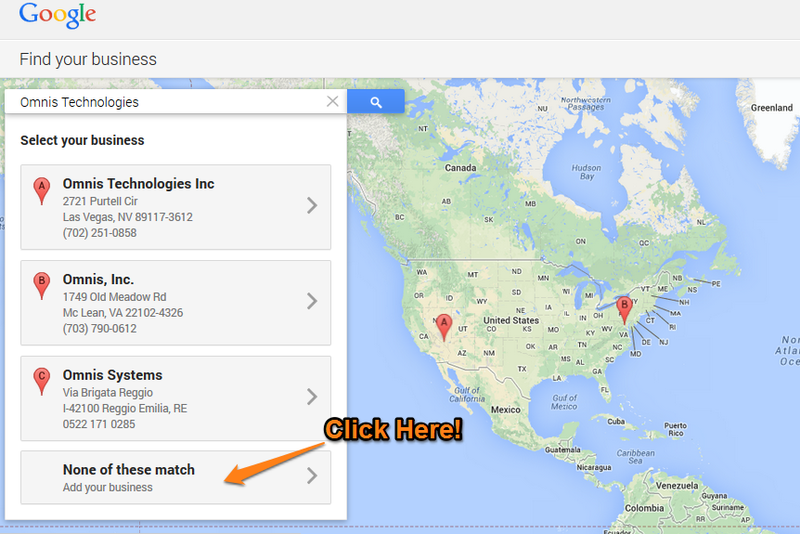 Because Omnis Technologies serves a specific local area, it's important to appear when someone is searching for a local solution. 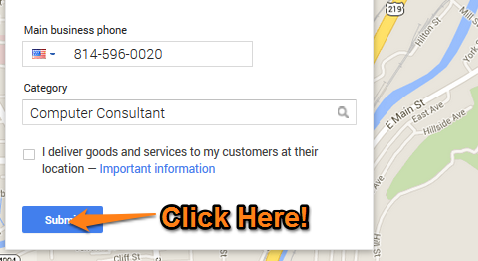 A Local Google+ page is different from a brand page because it allows you include your business’s contact information and reviews. These pages have the potential to appear in Google Search and have the potential to help you attract more customers. Simply put, anyone with your business in their “circles” can see your business’s updates, blog posts, commons, and reviews. This is another opportunity for you to control the information that customers and potentials customers see. 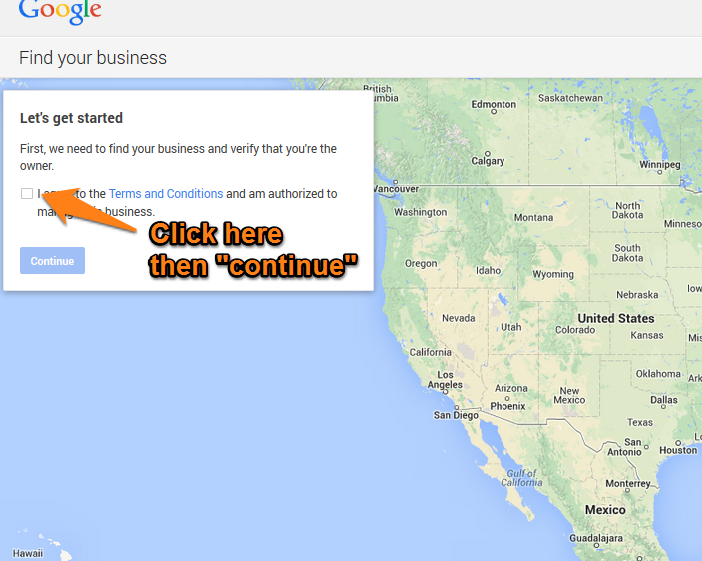 So if you think your business could benefit from a Local Google+ page (and it definitely can! ), we'll show you how it's done step-by-step! 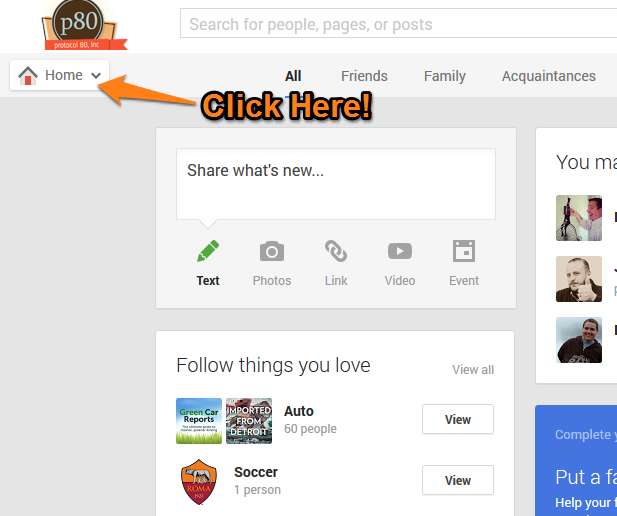 Note: you will need to sign in to Google+. If you do not have an account, do not worry. You will be prompted by Google to create one and you just need to know your name, gender, and age! A drop down menu will appear and you will click "pages." The next step is to verify your business. Google gives you the option to verify either now or later. I chose to verify the business now. 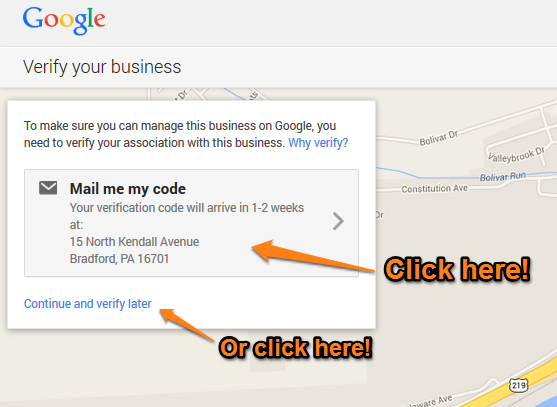 Google will send you a verification code in the mail in the next couple weeks. Be patient and watch your mailbox! Congratulations! You are almost done! Now you will be taken to your dashboard to edit the appearance of your page and start posting news! 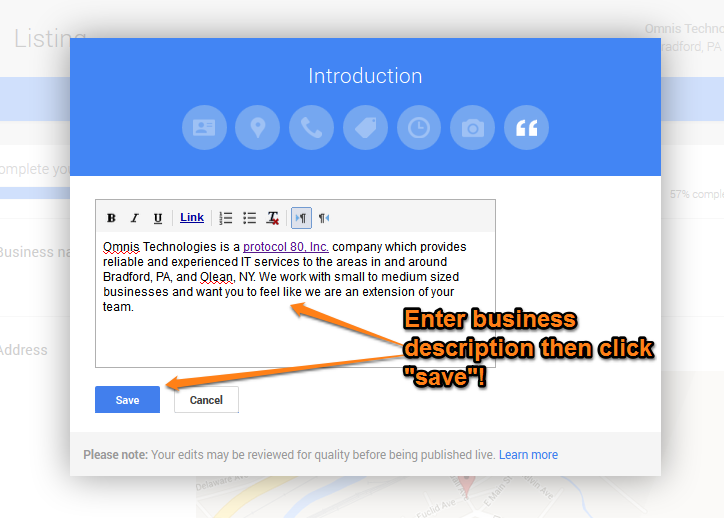 Make sure you type an introduction for your business. This will help customers understand what your business does within a short glance. 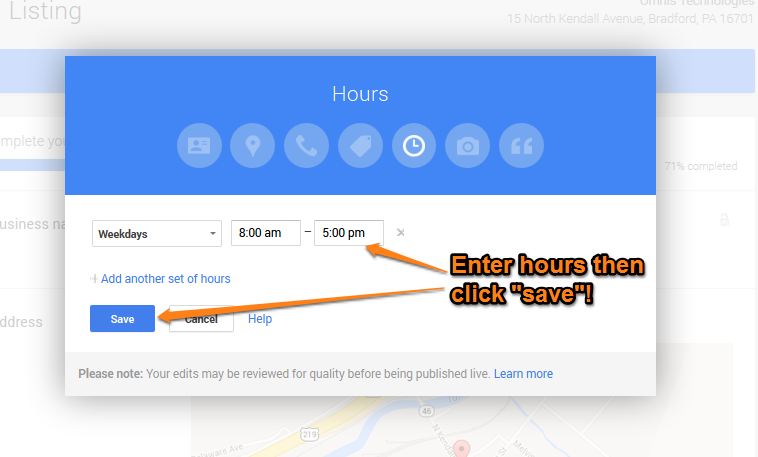 On the editing page you can edit your hours of operation, add photos, edit your business description, contact info, and location. It is always a great idea to add photos and be as specific as possible when you add your business introduction! Don't forget to share your business's news! As always, feel free to contact us for more help!